Orthopedic care doesn’t have to be difficult and invasive thanks to state-of-the-art advances in diagnostics and treatment. At Garden State Pain Control in Edison, Clifton, Hazlet, and Jersey City, New Jersey, mi-eye® and Tenex Health TX™ can combine to deliver accurate diagnosis and powerful noninvasive pain relief. Book online through the online tool or call Garden State Pain Control for an appointment now. How is my orthopedic condition diagnosed? 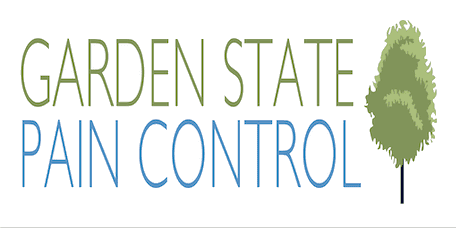 At Garden State Pain Control, the pain management physicians use a state-of-the-art device called mi-eye for diagnosis. The mi-eye is a handheld tool that includes a disposable optical needle along with a built-in camera. This portable arthroscope provides detailed and well-lighted visualization of injuries like damaged joints from the inside out. The mi-eye can fit through natural body openings or through a small surgical opening if needed. The mi-eye often replaces the need for an MRI. Sometimes, the pain management physicians may use mi-eye in pain treatments, as well. It has a lumen built-in, which means there’s a long, narrow channel through which they can administer medications when needed. How does the Tenex procedure work? Tenex is a treatment that your pain management doctor may recommend for pain related to tendon damage. Some of the most common examples of this are tendonitis and runner's knee. During your Tenex treatment, your Garden State Pain Control physician views the damaged area on an ultrasound. They also use ultrasound guidance to extract the damaged or dead tissue that's causing you pain. When the severely damaged or dead tissue binds your tendon, it won't ever heal normally, so the Tenex procedure gives your body the ability to heal itself naturally. Tenex offers a number of advantages and is a very popular minimally invasive alternative to major surgery today. You get quick pain relief, and you have minimal recovery time with Tenex. Tenex requires only local anesthesia and there are no stitches with the Tenex procedure, so there’s no major wound care to worry about. You can expect tendon healing in around 4-6 weeks. What can I do to prevent re-injury? Once your minimally invasive procedure is complete, you’re not done yet: physical therapy is an important part of your recovery. During your physical therapy appointments, you retrain your injured or previously painful body parts how to move safely again. During physical therapy, you also rebuild strength — not only for your injured body part, but also for the surrounding muscles. If you commit to your physical therapy program and follow your doctor’s guidance, there’s no reason that you have to suffer this pain again. Book now through the online appointment maker, or call today.